What is a Root Position Triad? 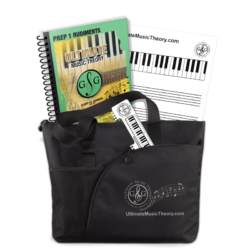 While a Root Position Triad is one musical "item", there are actually 3 music theory concepts involved. 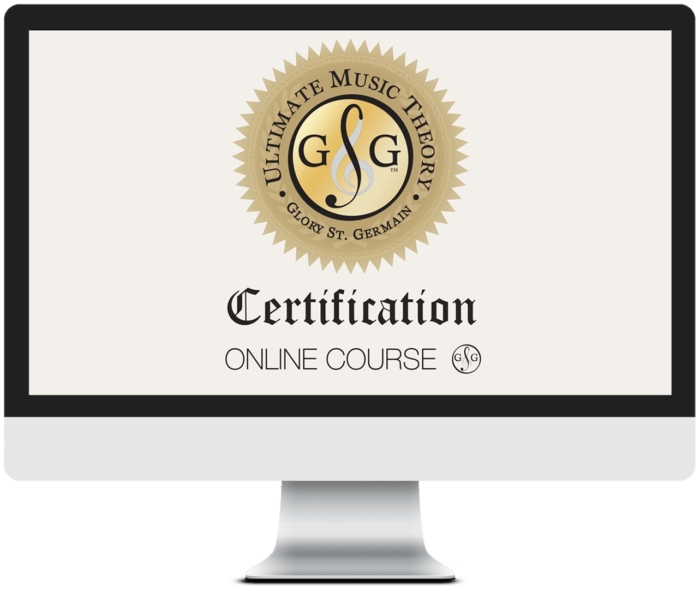 This sounds easy for us - after all, we are pretty fluent in this language of music theory. However, teaching to students when they do not have the same fluency in this language can be a bit of a challenge. Deb Miller-Cushon is a music teacher in Merrickville, Ontario and I am really blessed to know her. Deb has a Bachelor of Arts in Developmental Psychology and Early Childhood Education through the University of Waterloo. Growing up, Deb studied Piano and Theory up to the Grade 10 RCM Level. As a mom, Deb began teaching her own daughter piano. She ended up continuing her own studies and completed her ARCT. Deb has a passion for helping students learn "context" with "concepts" so that students get it! Deb, Carol Anne Clarke (another awesome Teacher from Kemptville, Ontario) and I had the pleasure of traveling together this summer to attend a Teacher Seminar. In typical "Shelagh" fashion, I found a way to combine work with pleasure! On our way to Toronto, I sat in the back of the van with Deb, my laptop open, and I typed notes while talking about how she finds so many creative ways to help students learn so that they "get it". P.S. 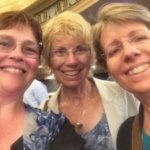 - While there, we actually spent some relaxing time together - here is a picture of me (L), Carol Anne Clark (C) and Deb Miller-Cushon (R) when we went to see the musical "Newsies"! Isn't it wonderful when we can get together with other teachers and just have fun. Our conversation inspired me with this blog and I hope that you will share my excitement about this topic too. meet each child's individual educational needs. Have you ever "thought" that a student understood a concept...and then one day they look at you with that blank look and say "I don't know" when you ask them a simple question? Sometimes we forget that we need to see concepts as a student "sees" them. After all, we have been learning music for years so we have lots of context to associate new musical concepts with. It is easy for us to forget how foreign a musical concept is going to be to a beginner. Look at the way little children learn language - they don't learn it in a vacuum. We give a child a cup and we say "cup". They associate the familiar item with the word. When we teach a child music, we need to give them a point of reference - a "context" that they can use - so that they get it and never forget it! "Many years ago, I had a student who struggled with the concept of a sharp. She would see a note with a sharp on it (as an accidental) and she would play the sharpened note and then the natural note. Why? I finally realized that she had no context to associate that the purpose of the accidental was to raise the note itself. She saw two items - the sharp and the note - and her context was that, since there were two items, she should play two sounds. As teachers, we sometimes expect a child to come to our level of learning instead of us, the teacher, going to their level of understanding. By learning how each child processes information, we can give them strategies to remember, recall and associate." So how do we put "Context" and "Concept" into action? Well, do you wanna build a Snowman? Did you know that you are building a Triad? 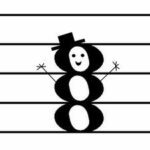 Let's take a familiar context - a Snowman - and use it as the foundation for a new musical concept - the Root Position Triad. In other words, we are going to tie a new musical concept together with a familiar context - an image that the student already knows! "Do You Wanna Build a Triad?" It's a triad that we'll write! First we're going to make the bottom note. It's called the Root - we're Theory Kids tonight! And then we make the middle. And all the notes are space notes - or lines instead! Do you wanna make a triad? 'Cause it looks just like a snowman. Why Build a Triad as a Snowman? Building a Snowman is Fun - and it helps us understand the concept of the triad. The music theory concept of the Root Position Triad (both Major and minor) is introduced in Prep 1 Rudiments. On page 80 of the Prep 1 Rudiments workbook, students learn how to write a Major triad. They can then play the triad so they can hear what they see. What does a snowman triad sound like? 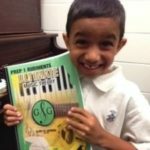 In Prep 1 Rudiments students also learn the difference between how Major and minor triads are written and how they sound. Deb's Prep Rudiments Theory Club Students absolutely love having their Root Position Triad (new concept) introduced as a Snowman (familiar context!). 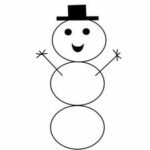 What does a snowman have in common with a Root Position Triad? The triad is tidy - all 3 circles are the same size. The snowman is tidy - all 3 snowballs are the same size - no big bums on any snowmen! The triad is stacked in a straight line - one note on top of the other - space, space, space or line, line, line. The snowman is stacked in a straight line - no crooked snowmen! 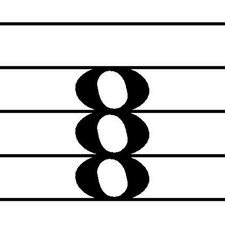 The bottom note of the triad is called the root. The bottom snowball of our snowman is rooted to the ground - the snowman is not standing on his head! Why does this work so well for young children especially? If you look at the words we use in music (for example, Treble and Bass), these words have no meaning to a young child. You can't just give children this whole new language without a context. You have to find something that they've already "got" - a context that is already there for them - and use it to help them remember the new musical concept. You have to find a way to tie things together for students. Students can get overwhelmed and they will often forget that they know what they need to know in order to figure something out - they lose their strategies. When you give students strategies for learning that are not "Greek" to them - when you give them context with content - you are giving them strategies for processing, memorization and musical application. Whiteboards are Great for Music Theory Concept + Context! Using your UMT Teacher Whiteboard to explain a concept with context makes teaching so much fun! Students will love using their UMT Student Whiteboard to create their own connections between Concept and Context! So...do you wanna build a Root Position Triad?